Rescue crews search for a person believed to have drowned at Lake Chabot in Castro Valley on Tuesday, July 14, 2015. 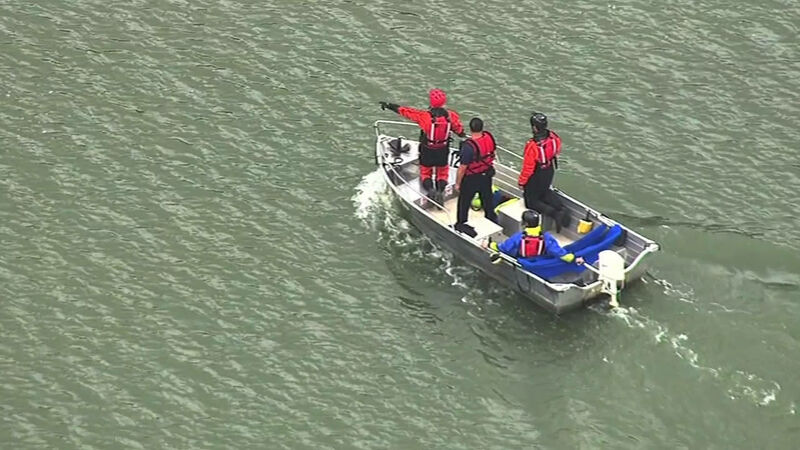 CASTRO VALLEY, Calif. (KGO) -- Rescue crews are searching for a person who may have drowned at Castro Valley's Lake Chabot Tuesday morning. Witnesses say they saw someone jump in the water and never surface. Searchers with the East Bay Regional Parks District have been looking for boats and the shore, but so far no signs of the presumed victim.